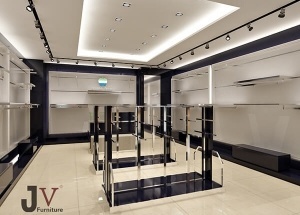 professional makeup furniture for Qatar cosmetic shop project. custom cosmetic display counters call at 008613825185029 . 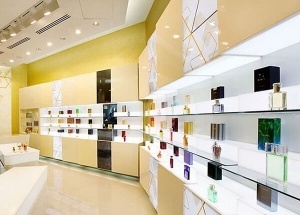 The perfume store displays is for a 600 sqft perfume shop. The perfume store is elegant and modern. We are manufacturer, offer free perfume shop design, and affordable perfume store decoration. 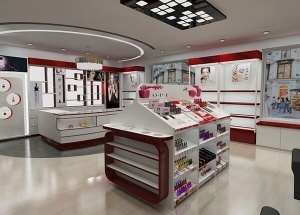 This makeup stands displays are made for a beauty cosmetic salon project located in Canada. 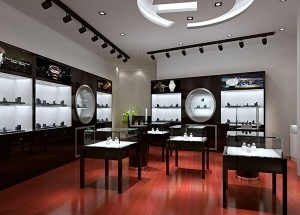 This watch store interior design is for a USA watch store project. 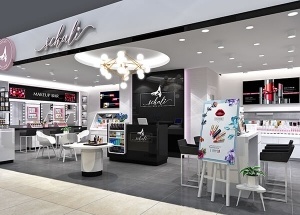 This nail salon design are made for a nail spa salon project located in the USA. 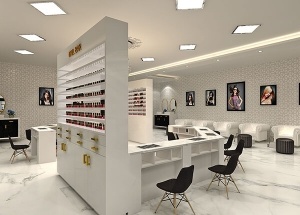 we made the nail salon furniture and manicure tables, shop counters for customer. 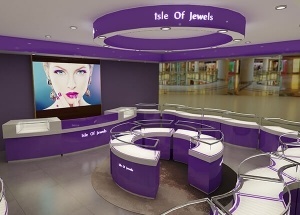 The jewellery display shop fittings was made for Isle of jewels in Switzerland. 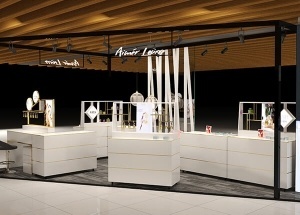 the jewellery shop display were purple color, pre-assembled and made with tempered glass and MDF. 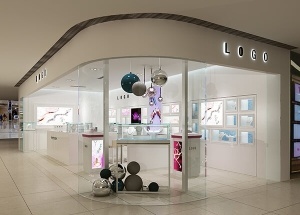 The jewellery shop decoration is for Pandora jewelry project in USA, designed by our shop designers.